Traditional academic trophy with 1-3/4 inch prism hologram plastic column. 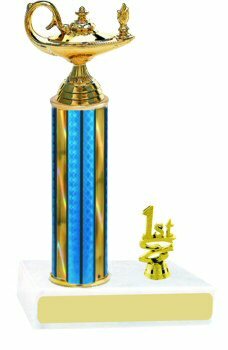 Customize your award by choosing your base, column, trim and figure. Three lines of free custom imprinting on a gold tone plate will make this trophy a real treasure.